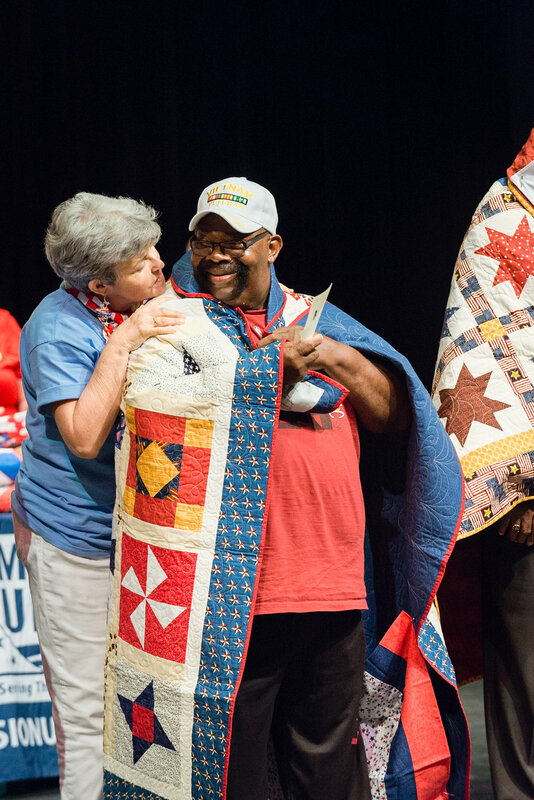 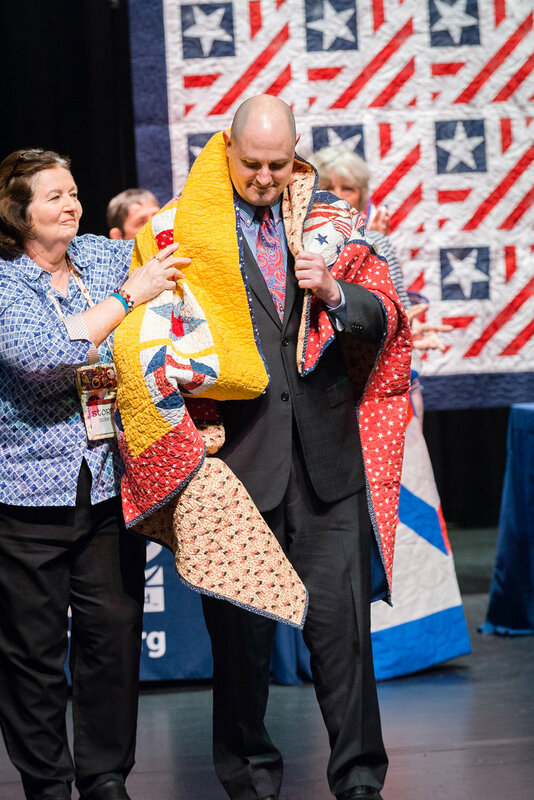 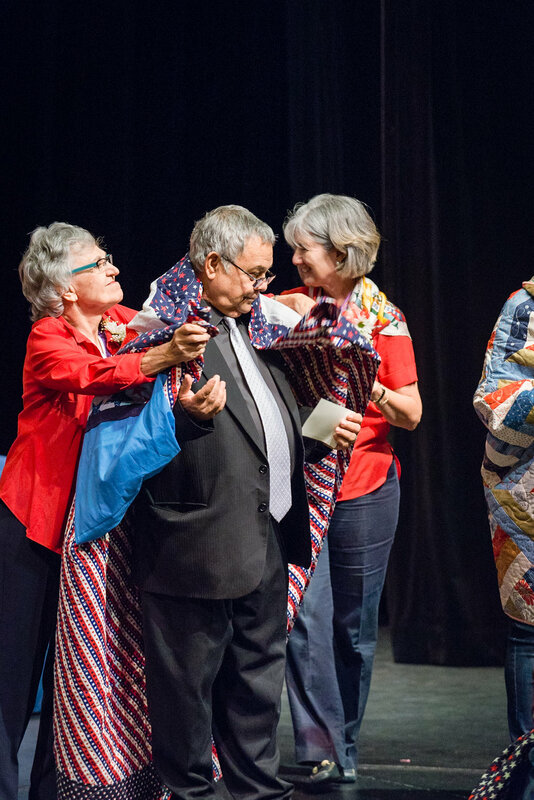 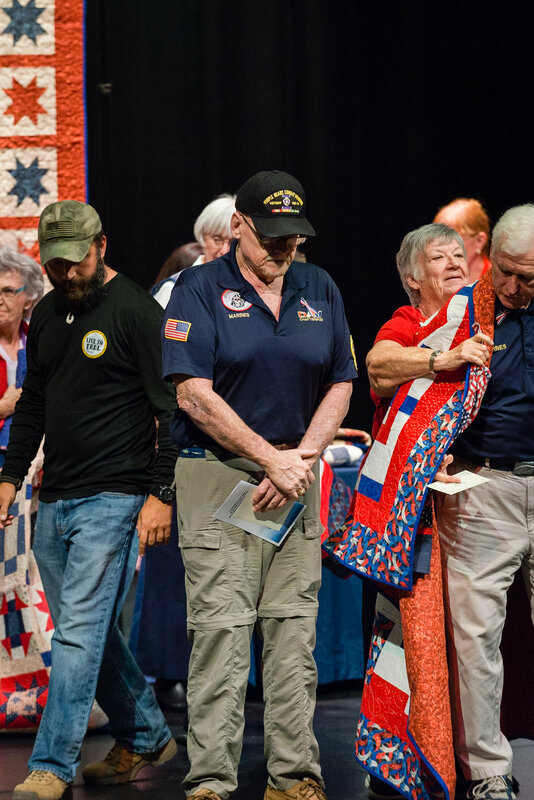 On April 20, 2017 a Journey Home Ceremony was held at the Sunrise Civic Center to present 56 Quilts of Valor to war veterans. 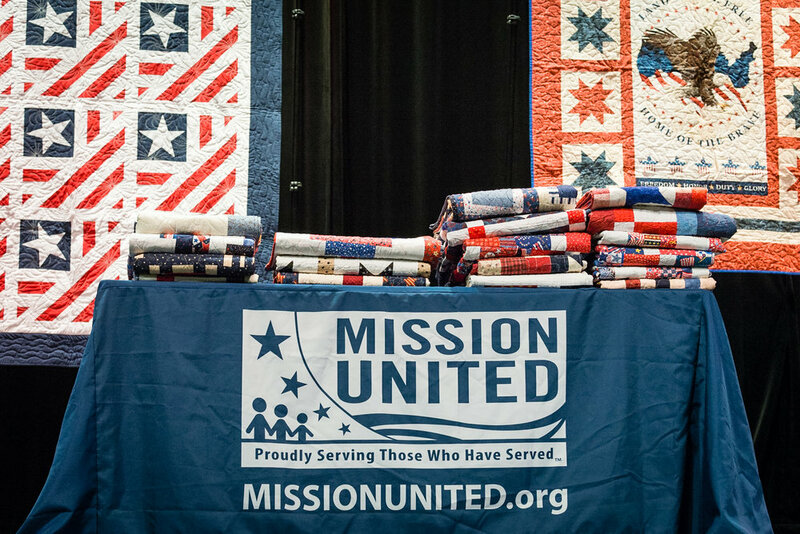 This is just a small selection of the photos taken at this event. 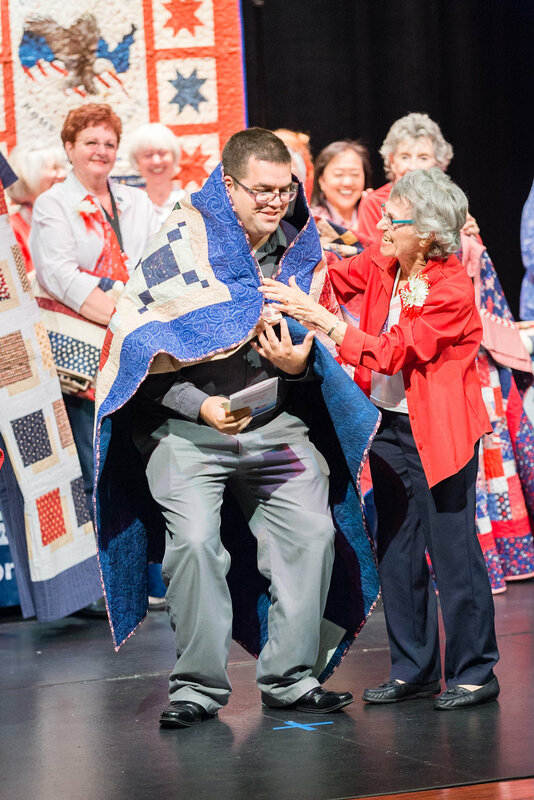 Please visit the photographers website to see all the photos. 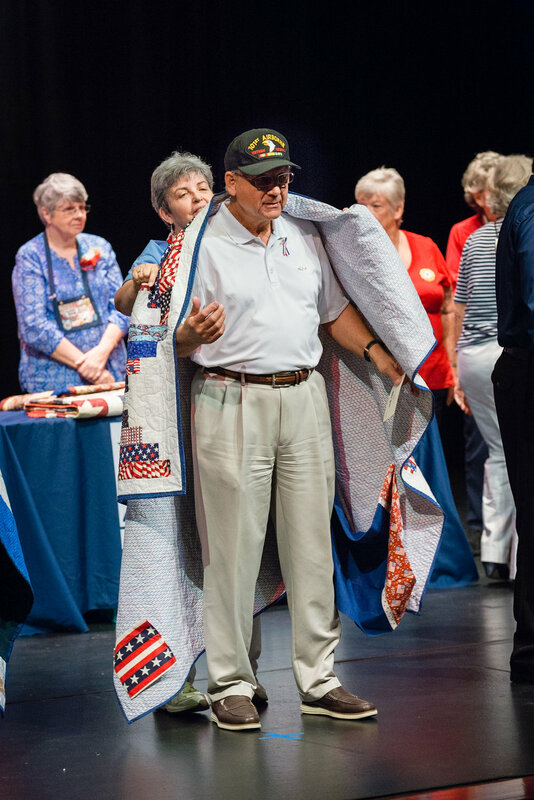 Stormy Schevis served as Liaison for 5 South Florida Quilt Guilds (GCQG, QGBS, QIP, CSQG, ESQG) and Veterans represented Vietnam, Iraq/Afghanistan & WWII. 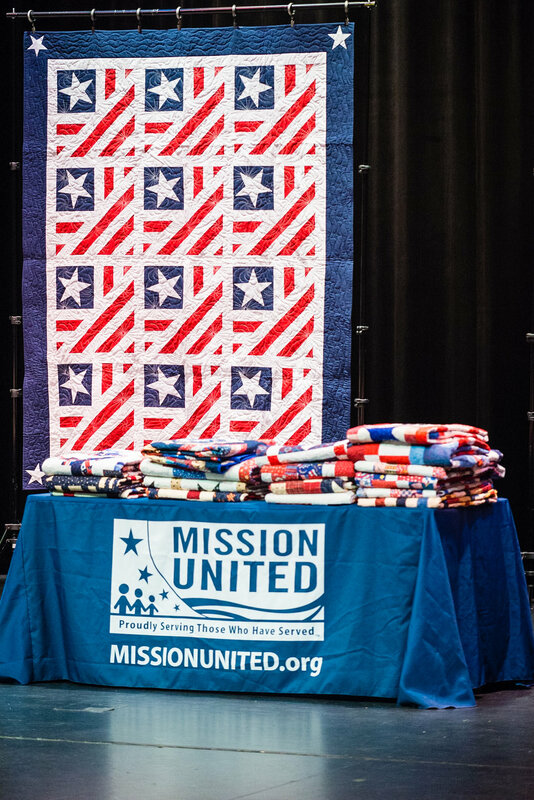 This was the largest such event. 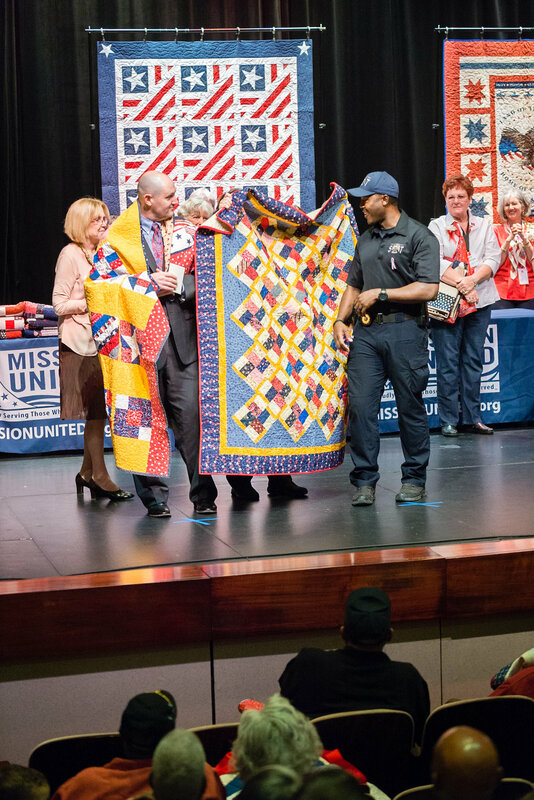 For further information about Quilts of Valor or participating in future such events being planned, contact Stormy: sschevis@gmail.com.